Описание: Третье издание популярного учебного пособия Ready for Advanced издательства Макмиллан поможет успешно подготовиться к экзамену Cambridge English: Advanced (CAE). В новом издании учтены изменения в содержании экзамена, вступившие в силу в 2015 году. К книге для учащегося прилагается код доступа к онлайн-ресурсу Macmillan Practice Online, который содержит не только интерактивные упражнения, но и два онлайн-теста в формате экзамена и видеоматериалы к разделу Speaking. 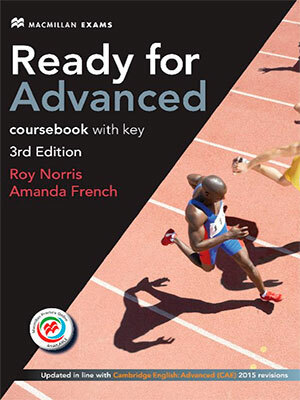 Each of the 14 units of Ready for Advanced Third Edition provides a balance and variety of activity types aimed at improving students’ general English level, as well as developing the language and skills they will need to pass the Cambridge English: Advanced (CAE) exam. Ready for Advanced is based on thorough exam preparation structure. Special language focus sections encourage analysis of the main grammar areas at this advanced level. Skills for all papers are covered and there is a complete practice speaking test included. 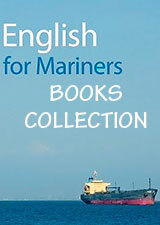 The Student’s Book provides complete grammar and vocabulary syllabuses as a useful reference point with new reading texts and in-depth coverage of the combined Reading and Use of English paper to develop exam confidence. Each Coursebook is packaged with a code to access Macmillan Practice Online (MPO), providing students with even more material for exam preparation.